Gov. Jay Inslee says he's concerned about the oil spill risk and the impact to endangered southern resident killer whales off the coast of Washington and B.C. Asked how Washington could influence the pipeline project, Inslee replied: "Every way that we can under Canadian law. "We've done that so far by our Department of Ecology making a vigorous, robust statement of our concerns. I have exercised my rights as governor to speak publicly and vocally about our concerns about this project." "This [project] does not move us toward a clean energy future," Inslee added. "For both short- and long-term reasons, the state of Washington stands with, I believe, the people of British Columbia expressing concerns about this project." 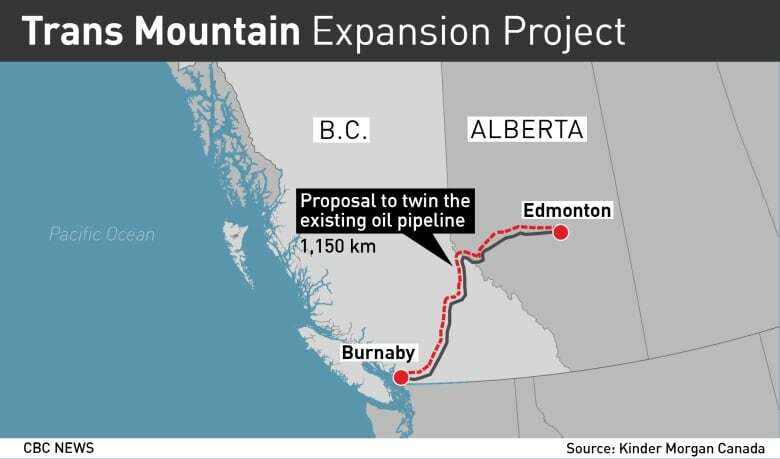 The expansion would triple the capacity of the Trans Mountain pipeline, which runs from near Edmonton to a waterfront terminal in Burnaby, B.C. Canada has purchased the Trans Mountain pipeline and expansion project for $4.5 billion. The Federal Court of Appeal struck down the project's approval last August in part because of the National Energy Board's failure to consider marine shipping impacts. The government ordered the board to conduct a review of this issue and report back by Feb. 22. 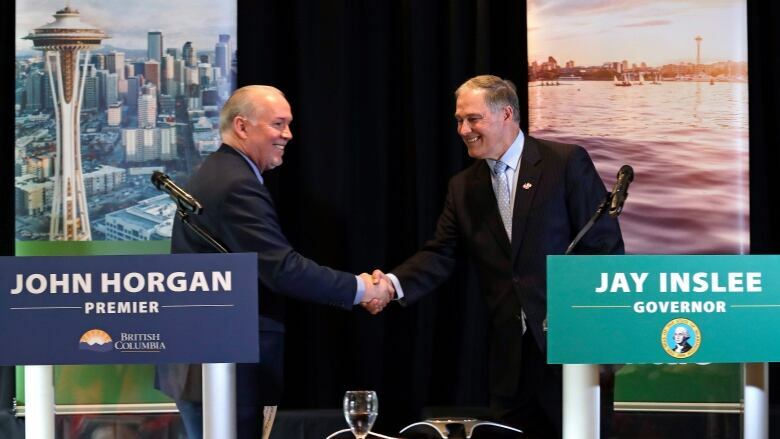 Horgan has said that B.C. would use "every tool" in its toolbox to fight the pipeline expansion. He would not explicitly say on Thursday what tools the province has left. "I'm not answering that question directly in British Columbia, so I would be remiss if I did that today," he said. "We do have tools available to us." "The challenge is that Alberta is landlocked and it has a resource that it believes it needs to get to market and they're struggling with that," he said. "I appreciate those challenges but my obligation is to protect the interests of British Columbia." He added the federal government is in a "difficult" position now that it has purchased the pipeline. He said he envisions high-speed rail running from Seattle to B.C. 's Lower Mainland, with a terminus in Surrey that would connect to public transportation infrastructure to take riders to Vancouver's airport, the city's downtown core and the Fraser Valley.